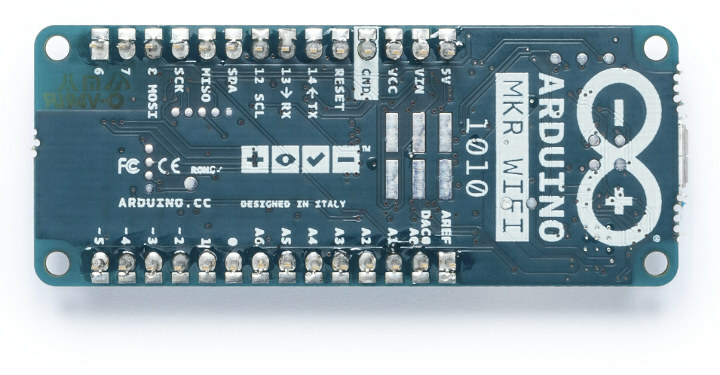 Arduino introduced its MKR family of breadboard compatible maker boards with MKR1000 featuring an Atmel SAMD21 microcontroller combined with a Microchip WINC1500 WiFi module. 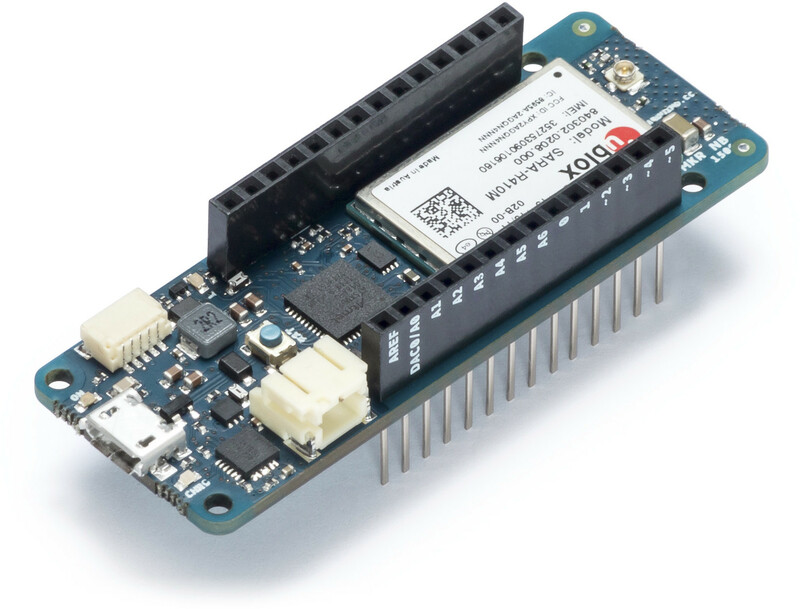 The board was followed by MRKZero without wireless connectivity, then MKRFOX1200 Sigfox board, and finally MKR WAN 1300 & MKR GSM 1400 boards at the end of 2017 with LoRaWAN and 3.75G cellular connectivity. The company has now launched two new boards: Espressif ESP32 based MKR WiFi 1010 with WiFi and Bluetooth, and MKR NB 1500 equipped with an NB-IoT & LTE CAT M1 module. Wireless Connectivity – 2.4 GHz 802.11 b/g/n WiFi and Bluetooth 4.2 LE via U-blox NINA-W10 Series module based on ESP32 processor. The board is compatible with the Arduino IT cloud, and both the Microchip Arm MCU and Espressif ESP32 processors are programmable. The addition of Microchip ECC508 enables hardware crypto authentication to secure TLS network communications and connections. The second board is the first official Arduino board supporting NB-IoT and/or eMTC low power cellular IoT standards. Both boards are compatible with other MKR boards, and are expected to launch in June 2018, but pricing has not been disclosed so far. 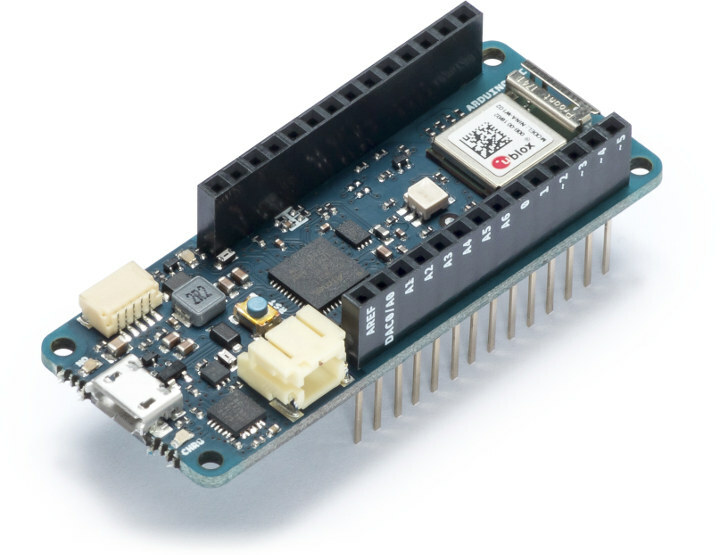 You may register your interest and potentially find some extra details on the respective Arduino store pages for MKR 1010 WiFi and MKR NB 1500. They just throw more pasta at the wall, don’t they? Looks like u-blox AG just dropped the price of their version of the ESP32 development board (with “Arduino headers”) from $99 to $79 (available through their own on-line shop).